Some 130,000 people have already bought tickets for a new exhibition of artefacts linked to ancient Egyptian pharaoh Tutankhamun that opens in Paris on Saturday March 23. The exhibition, at the Grande Halle de la Villette in the capital, is touring the world as part of early centenary celebrations of British archaeologist Howard Carter’s discovery of Tutankhamun’s tomb in 1922. 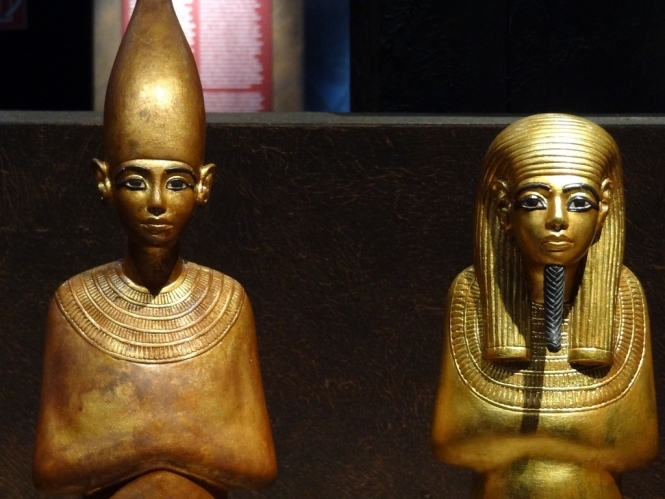 Artefacts on display include gilded wooden statuettes, a richly decorated miniature coffin for the pharaoh’s internal organs, and highly intricate jewellery. Fifty of the 150 items on show have never left Egypt before. When the world tour ends, all the artefacts will be housed permanently at the Great Egyptian Museum, currently under construction in the Giza Plateau, that is set to open in 2022. The pieces had travelled amid tight security from the first stop on the global exhibition's world tour in Los Angeles this week. No information was given on the date or airport of arrival. The plane transporting the treasures had a temperature controller to keep it between 20 and 22 degrees to help preserve piece. The funeral gold mask of Tutankhamun and his sarcophagus are not part of the travelling exhibition, as they are considered too fragile and precious. After the Paris stop, which runs until September 15, 2019, the exhibition will move to London's Saatchi Gallery and Sydney’s Australian Museum. Sculptures, jewellery and the Egyptian treasures should also be exhibited in Japan and South Korea. The last time Paris held an exhibition on the iconic Pharaoh was in 1967 at the Petit Palais, where 60 objects were displayed. The event lasted eight months and was dubbed ‘the exhibition of the century’ because of the 1.2million visitors it attracted - still a record for a temporary exhibition in the French capital. Tickets for the exhibition cost €18 for weekday visits and €24 during the weekend.